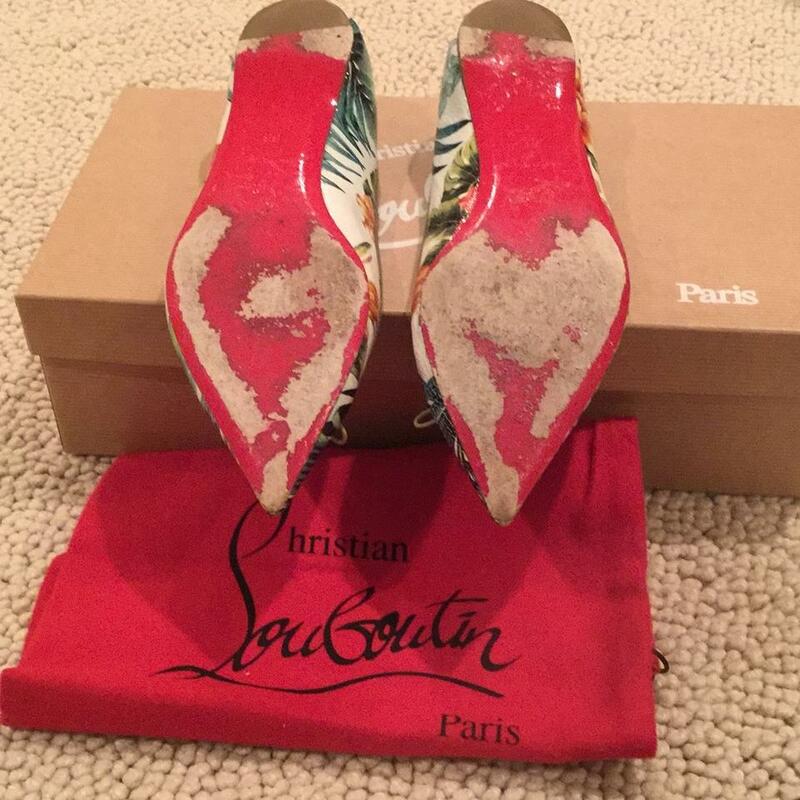 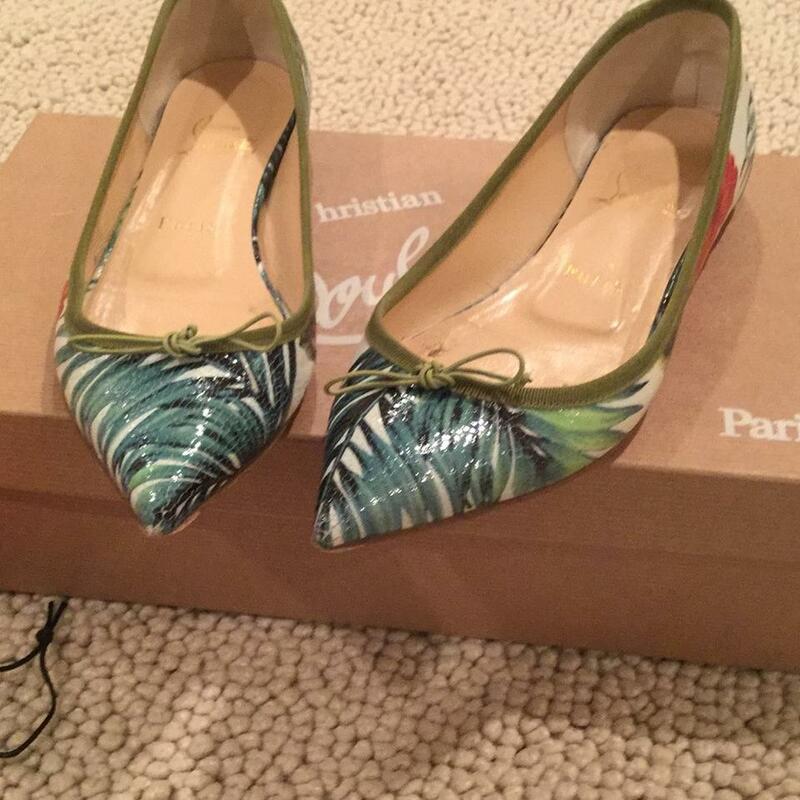 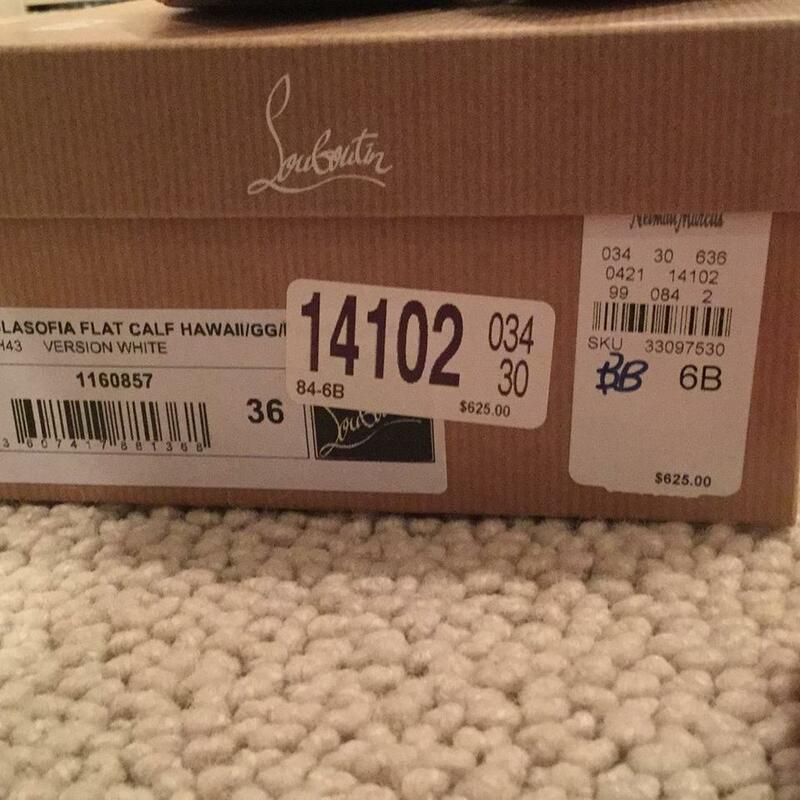 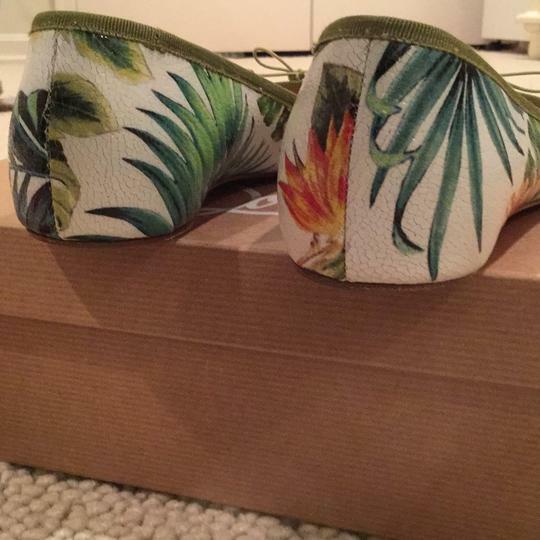 Christian Louboutin Sofia Hawaii flats. 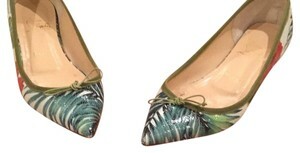 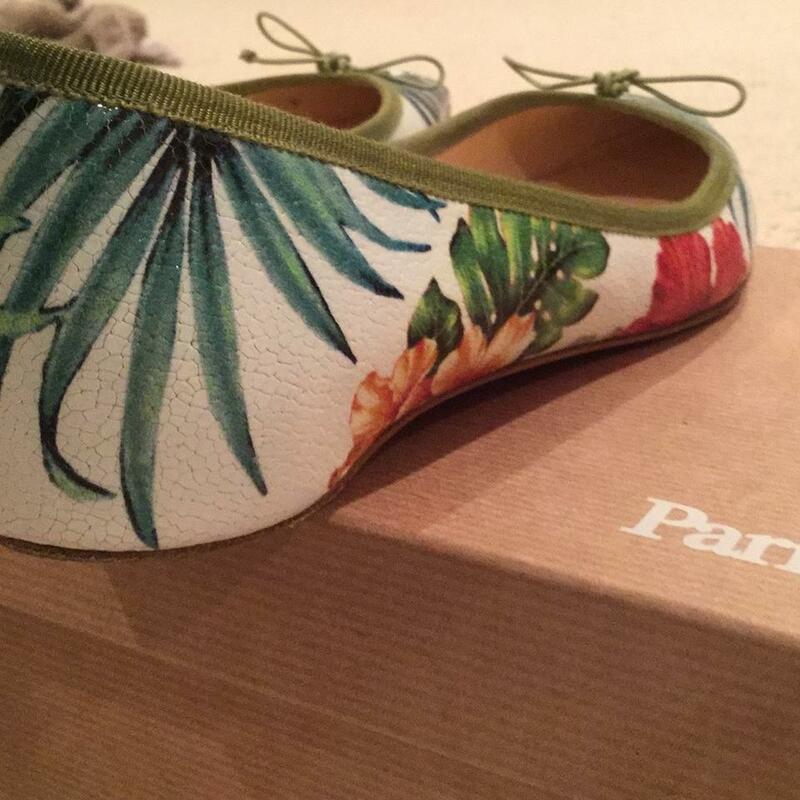 The ballet flats are a size 6 , with a beautiful jungle motif on the shoes w the trade mark red soles. 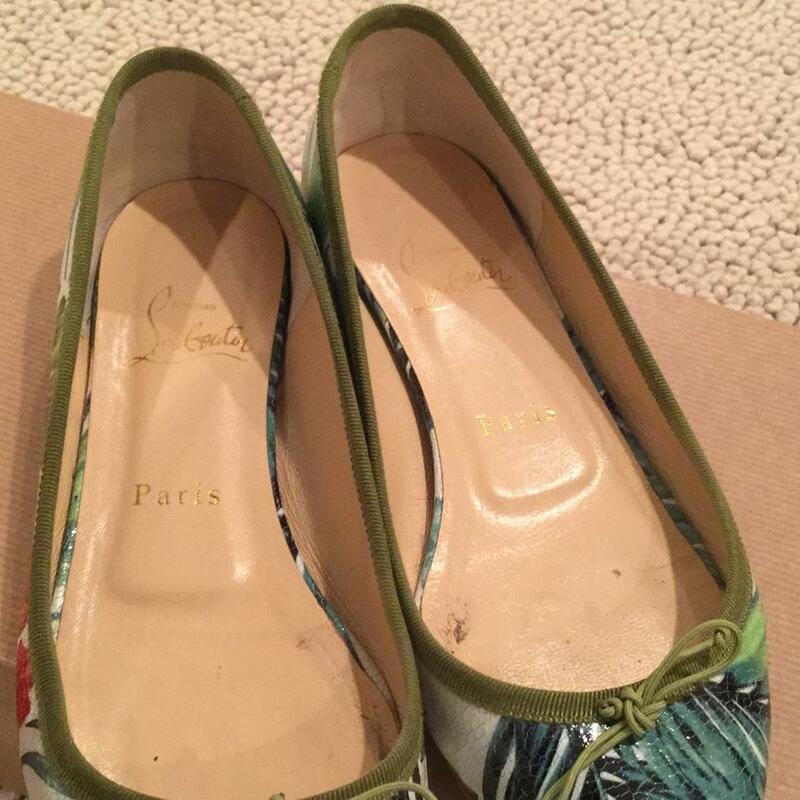 There is a small green bow at the front of the shoes.